Do you know what you are making for Mother’s Day? Or if you are a Mother/woman, do you know what you want someone else to make you for Mother’s Day? 1983, I am the baby. The 5th Sabin would be born in 1990. Now back to taste bud heaven I will be gifting my mom for Mother’s Day – if you are curious just how easy it is to create your very own heaven on earth, let me tell you. The tenderloin is placed in a water/salt/ brine for 20 minutes. Brining is like marinating meat in that it helps keep meat moist and tender by increasing the moisture capacity of the meat, resulting in melt in your mouth meat when cooked. And I can attest this pork is 110% melt in your mouth tender! 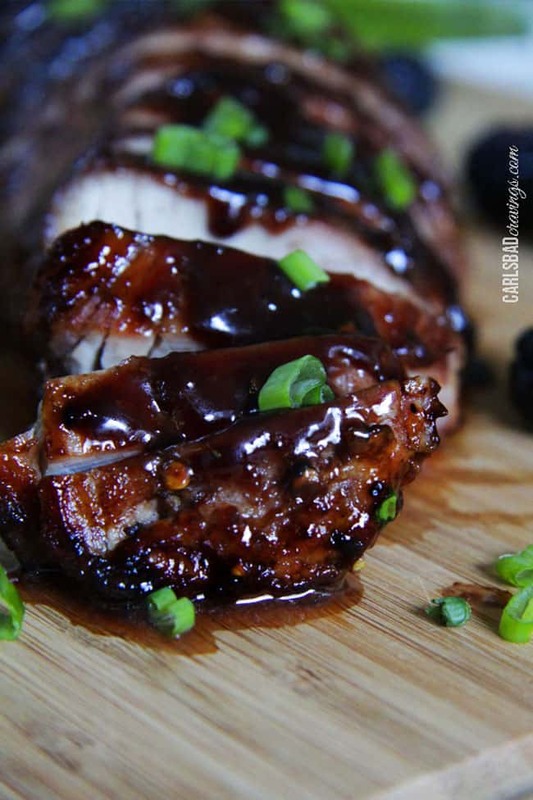 They don’t call it pork tenderloin for nothing! While the pork is tenderizing, its Blackberry Hoisin Ginger time! This glaze seriously takes 5 minutes to make without any skill involved! 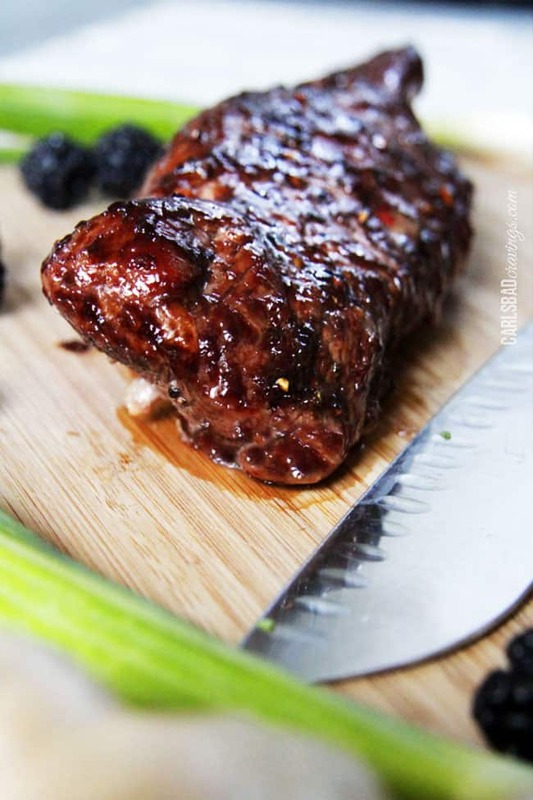 Simply saute garlic, ginger and red pepper flakes, then stir in blackberry preserves, hoisin sauce and red wine vinegar then cook until heated through – that’s it! If you aren’t familiar with hoisin sauce, (it can be found in the Asian section of any grocery store), it is kind of like an Asian barbecue sauce and usually consists of soy, red chiles, garlic, vinegar and sugar. Once you combine the hoisin, garlic, ginger and red pepper with the blackberry preserves, you have created a delectable luscious sauce to bathe your tenderloin in – a sauce that tastes of sweet blackberries, with an underlying Asian flair, with the option to choose how spicy you would like to make it. 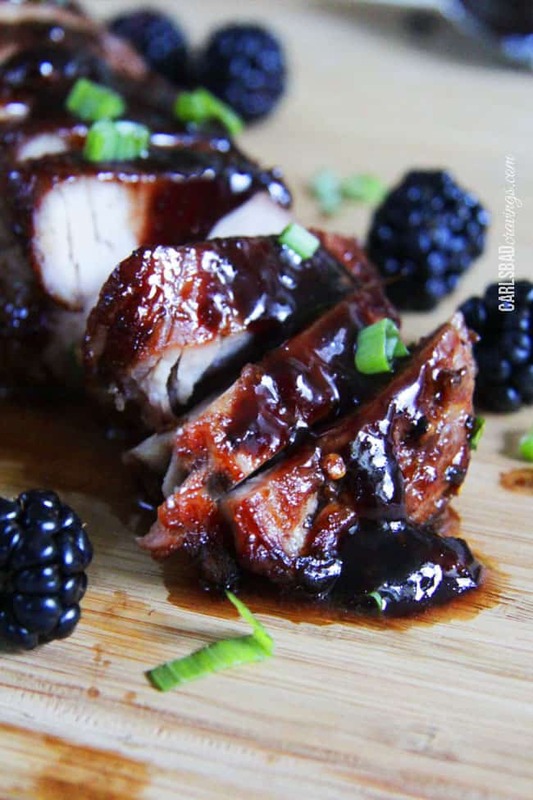 Once your pork is removed from the brine, you sear it, then glaze it with the Blackberry Hoisin Ginger Sauce and then bake 25-30 minutes, brushing it with the glaze a couple times while cooking. And that’s it! 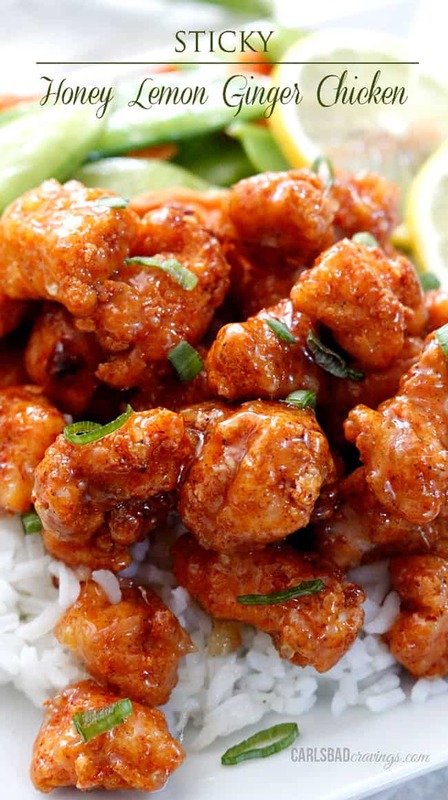 One of the simplest, tastiest, impressive meals! It is great for special occasions or anytime you have company over! 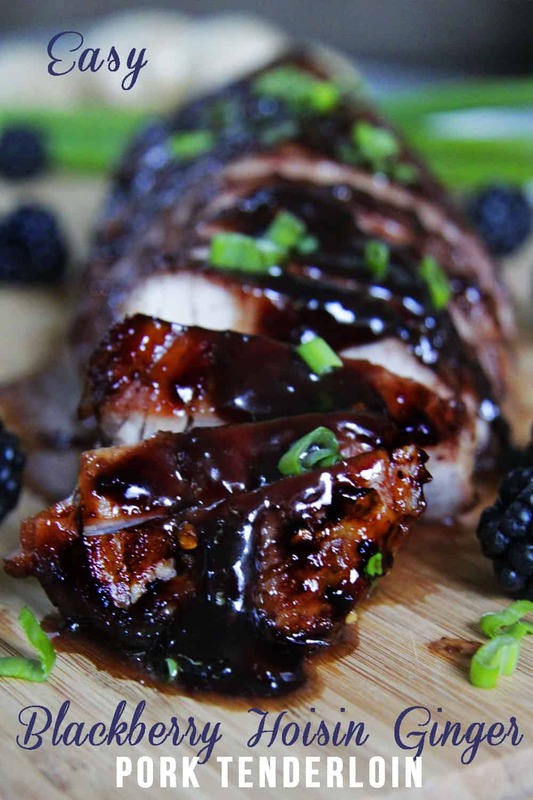 Or simply anytime you need a sweet and spicy, blackberry smothered, melt in your mouth, tenderloin fix! Made this for big family dinner – Everyone was super impressed! Thanks Jen! Absolutely delicious! You are so welcome Becca Rose! Thanks so much for letting me know everyone loved it -that makes me so happy! Thank you, Becca Rose for being one of the ONLY replies from a person who actually MADE the recipe!! Now I will try it and I will post a reply on the outcome. I am in a meal swap group where we swap freezer meals once a month. Wondering how or if I could turn this into a freezer meal??? Your thoughts? Hi Kelly! I am pretty sure this would freeze well. I don’t know how much prep you want to do beforehand, but I might suggest following the recipe through browning it and brushing it with a layer of the Blackberry Hoisin Ginger Sauce and then freezing it. Then the cook would just have to defrost the meat, brush with extra sauce and cook. Let me know how it goes! I fixed this tonight and it was fabulous! Will definitely make this again. Hi Jane, I am so happy you loved the pork, that makes me so happy! 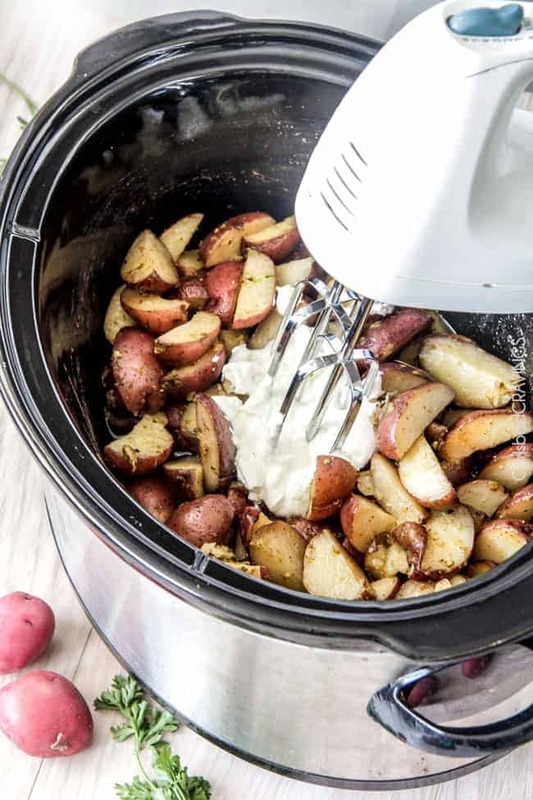 I have this in the crockpot for dinner, while I do some fall cleaning. It smells fabulous! Can’t wait to try it! I am also making the Asian Cucumber Salad that you suggested. Thanks for sharing these recipes! 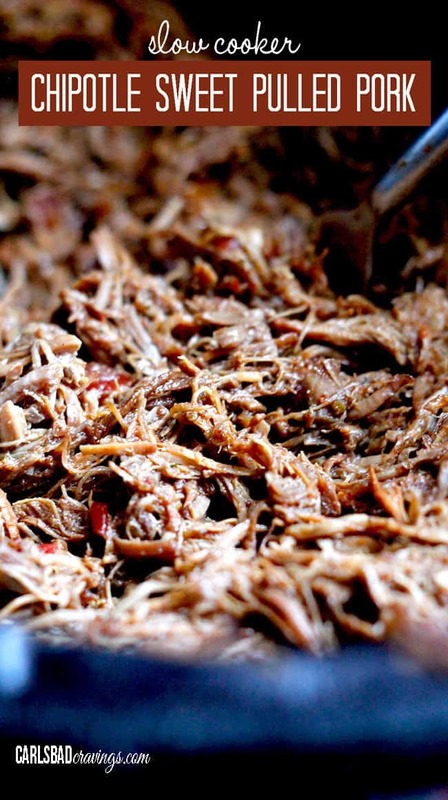 Hi Cathy, great idea to make this pork in the crockpot – it would smell incredible cooking away! I hope you loved it and the Asian salad as well. Thanks for visiting my site! I hope you find lots of yummy food here to enjoy! Both recipes were fabulous! 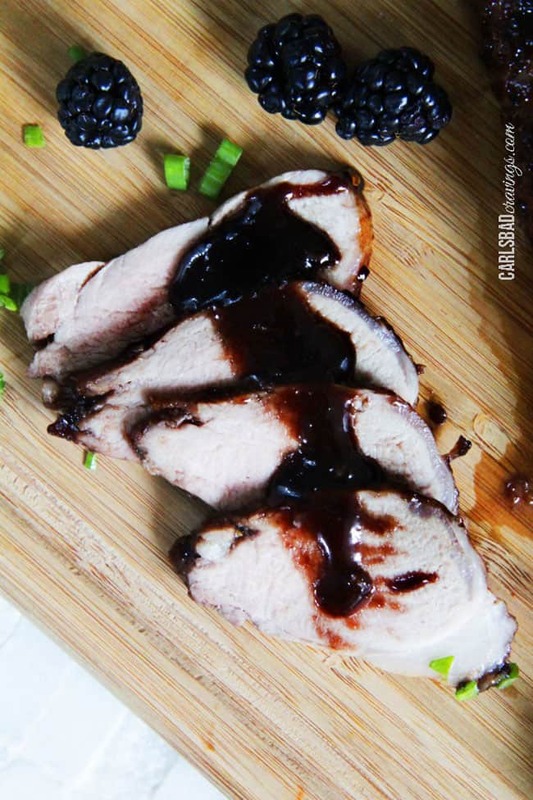 My husband voted it the best pork tenderloin he has ever had…even at fancy restaurants! I just pan seared it before putting it in the crockpot and it was perfect. It fell apart as I was cutting it because it was so tender! Thanks again for sharing! I look forward to trying more of your recipes. 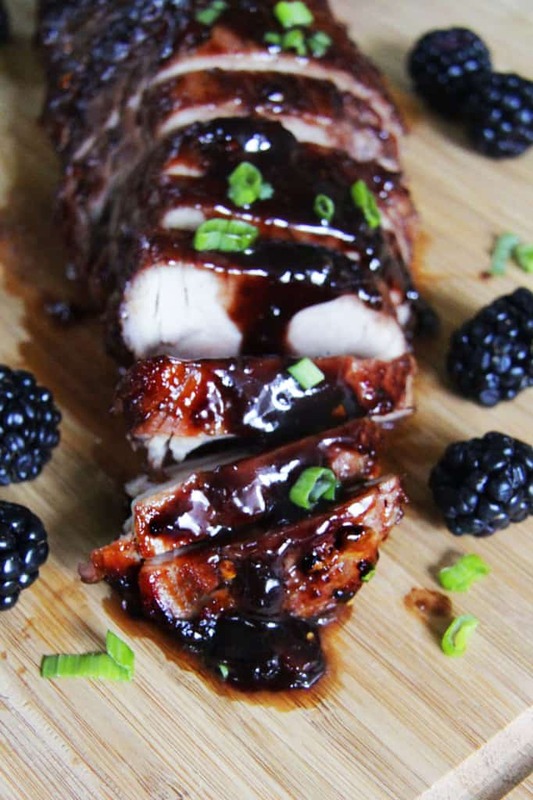 First you blew me away with your delicious recipe for Easy Molten Lava Cake, and then as I clicked to review your recipe for the Blackberry Hoisin Ginger Pork Tenderloin, you blew me away with the story about your beloved mother. 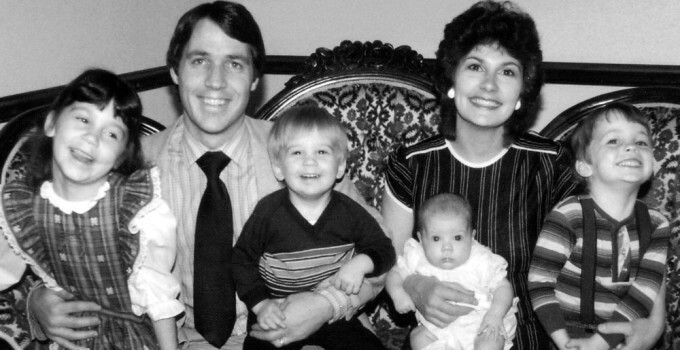 I, too, was blessed with an amazing mother who lost three children to cystic fibrosis while she was living, and a forth child who died after her death. 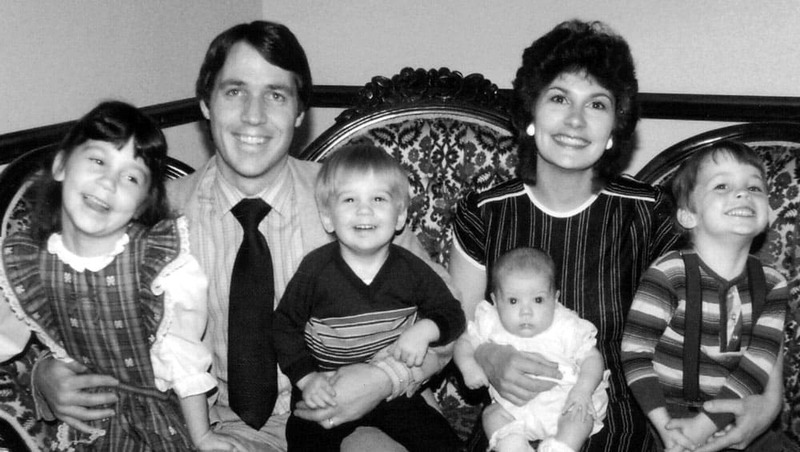 Prior to her death, in 1977, my sister, Susie, was one of the longest living people with this disease, which was due to my mother’s diligence, unwavering sacrifice, love and devotion. Susie was twenty-seven years old. You, and your story, have touched my heart in a most special way. My love goes out to you, your mom, all of your family, and to all those touched by this illness. And, my immense gratitude goes out to the medical profession, the researches, scientists, and all of the supporters who are working together to bring answers to the forefront in the fight in finding a cure and to provide life-saving treatment to beautiful, precious (as are all) people like you. made this tonight. Our first dinner in the loft. It was fantastic. & thank you so much for the the brine recipe, my Loins came out tender & juicy even after extra roasting because my husband likes his meat a little well done. served with fresh sautéed spinach & cacio e pepe Pacchieri. Best. 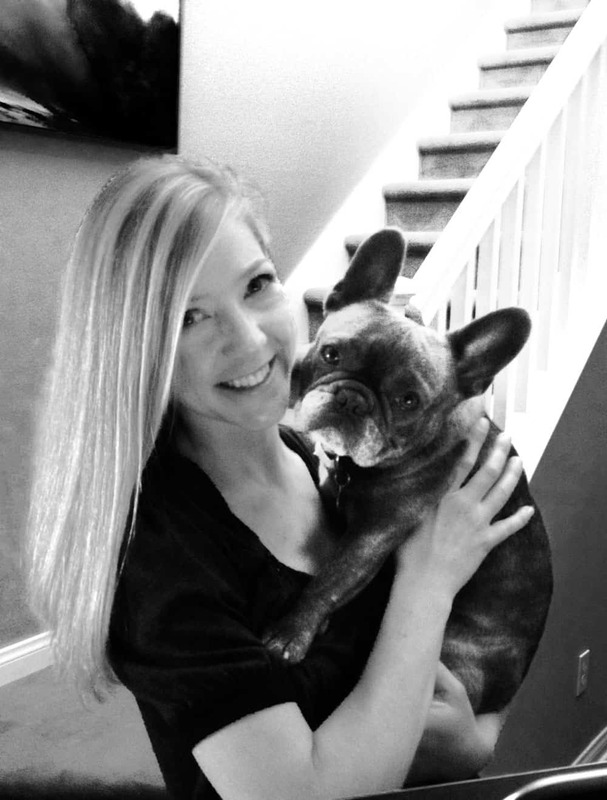 H Lauren, you are most welcome for the brine recipe – it really does make a difference! Your dinner sounds fabulously gourmet with the addition of spinach and cacio e pepe Pacchieri – bravo! Wow Cindy, that is awesome! You totally made my day 🙂 I am so happy it was a huge hit, thanks so much for letting me know! Thank you Amber! It is amazing how well they taste together! Enjoy!! What sides do you usually put with this dish? Hi Natalie! A green salad, rice and pineapple all are delicious with this! Enjoy! This recipe is great! I have made it multiple times (about two years now) and is a huge with with my family. 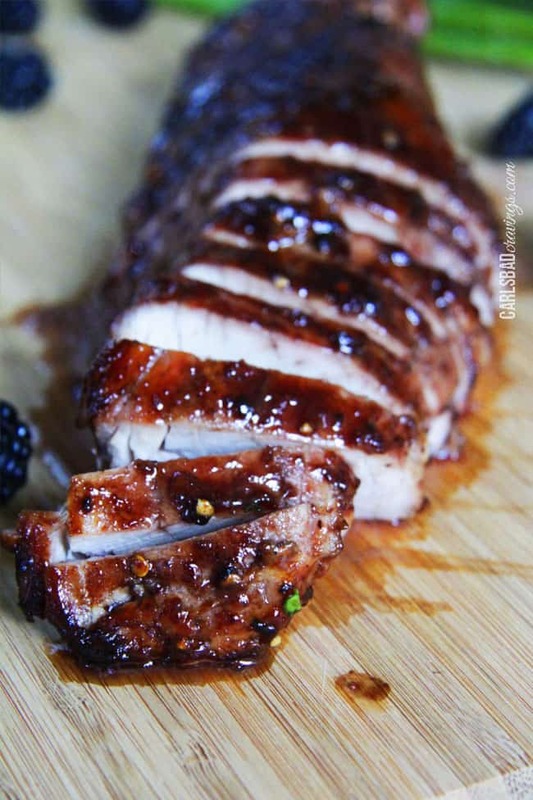 The pork is always very moist and goes great with mashed potatoes and veggies. The only thing I have changed is not adding the red pepper flakes because of my daughter but I do add them to my plate and my husband’s plate. Love Love Love this recipe and I am very happy to have written a comment on this. Hi Amber, thank you so much for taking time to comment! I LOVE hearing that you have been making this recipe for two years and how much you love it- seriously makes my heart so happy! Thank you!! Thanks, Amber, for your informative review from someone who actually made the recipe – and more than once. Will post my review later today, after I’ve eaten the pork. Hi Maria! It depends on the weight of the pork tenderloin. The recipe is for 2 pounds, so I am assuming that is just one of your pork tenderloins? If you want to make both of them (total of 4 pounds), then I would suggest doubling the recipe. If both the tenderloins equal 2 pounds then I would just follow the recipe as outlined – should still taste great! Great!! thank you so much for replying so quickly. This recipe is to die for. And what an impression it makes. You are so welcome Maria! I am so happy you love it so much! Hi! I plan on making this for my boyfriend for Valentines day! He Loves these flavors….but I have two questions. First, I couldn’t find blackberry preserves but I did find black raspberry jam! Can i use this? Also, I bought a pork Loin, instead of the pork tenderloin. Will the liin work well? Hi Alex, you are so thoughtful to make this for Valentine’s Day! I think blackberry raspberry jam would still be delicious – sounds amazing actually. 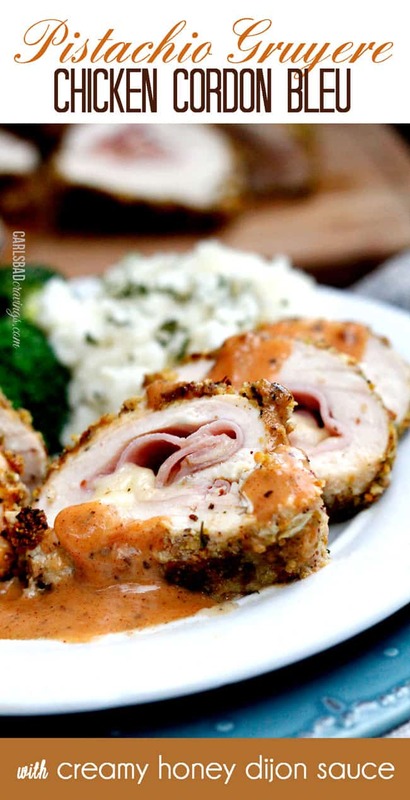 From my understanding, pork loin is the same as pork tenderloin, so you are good to go! Happy Valentine’s Day to you both! Hi Renai, unfortunately blackberry preserves are sweeter than just blackberries so if you want to use your own blackberries then I would look up a recipe for blackberry preserves and make that first. I hope that helps! This looks delicious! I’ve got turkey tenderloins, wondering if I could use those instead? Thank you! Thank you for your kind comment Jodi! God bless you and yours as well! I think this would be absolutely delicious on turkey tenderloins! This was so easy to make and the meat was so tender and full of flavour. Can wait to make again. YAY! I’m so happy it was a huge hit, thanks Nat! Review is for the sauce only. I made this yesterday and it is delicious! I think it’s even better sitting for a day to blend the flavors. I added the maximum amount of ginger too! I’m planning to serve it with grilled/broiled Pork Loin Steaks. You are so welcome Bobbi, I’m so happy you love it! I bet it will be delicious with your pork loin steaks!